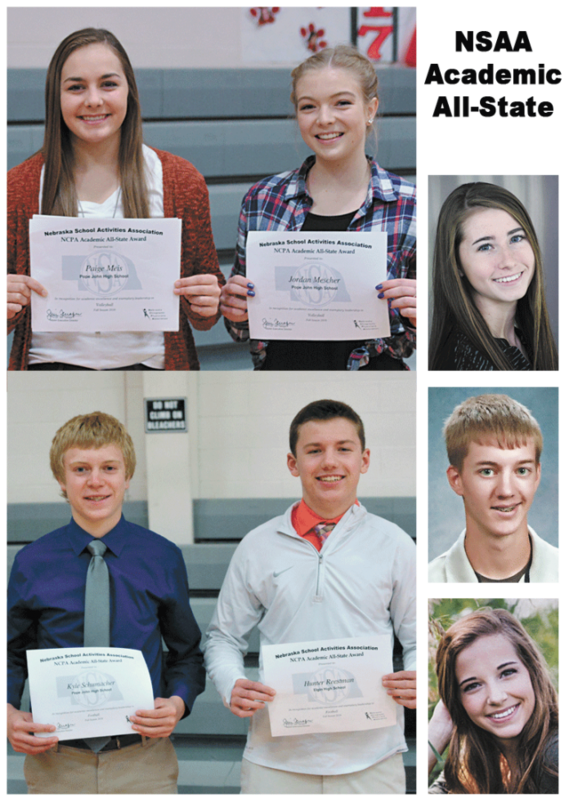 Seven students representing two high schools in Elgin were honored last week as recipients of the 2016 NSAA Fall Academic All-State awards. There is a selection process which each school must follow in nominating students: 1) A nominated student must be a varsity player or an organizational leader who has played a significant role on the team or in the organizational activity; 2) The student must have a minimum cumulative grade point average, in all curricular subjects, of 93 percent or 3.7 on a 4.0 point scale; High schools may nominate a maximum of two students per NSAA activity program. The NSAA and the NCPA are proud to recognize all of the 2,396 award winners of the 2016 Fall NCPA Academic All-State Award.